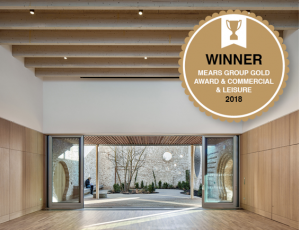 The judges selected Storey’s Field Community Centre & Nursery as this year’s Mears Group Gold Award and Commercial & Leisure winner. The Mears Group Gold Award is given to the winner of winners. Stephen Corbett, chair of this year’s buildings judging panel, comments, ‘the best building rose to the top, for its winning combination of architectural merit, structural ingenuity and flawless execution’.